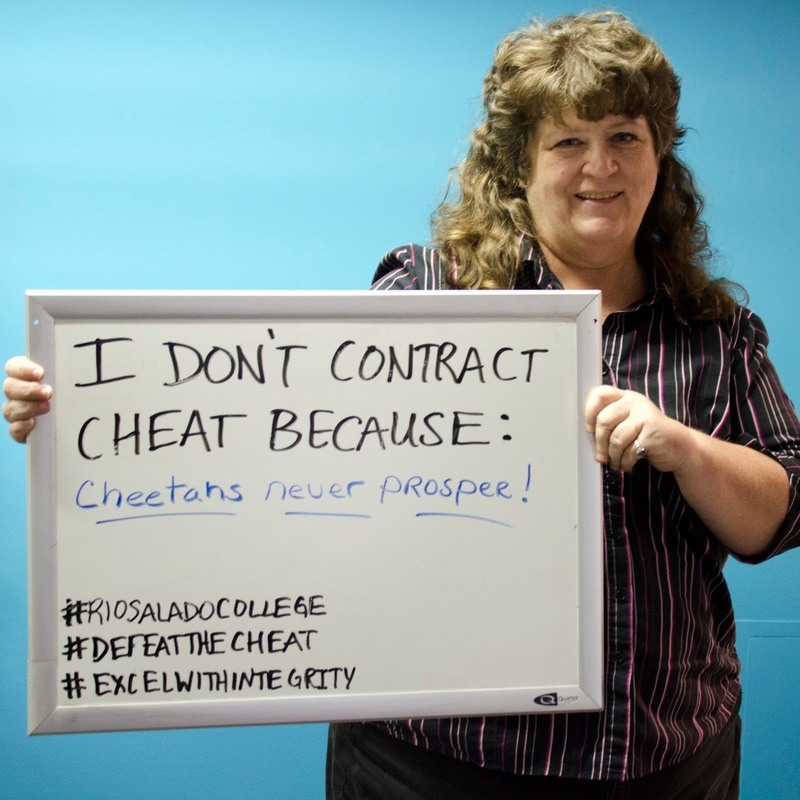 Rio Salado College | RioNews: Speak Up & Out Against Contract Cheating! Speak Up & Out Against Contract Cheating! We all know cheating is wrong. While there are no excuses and the consequences are great, the stress and pressures of school can make it tempting and sometimes irresistible for students. Include others in the conversation by using hashtags #RioSaladoCollege #defeatthecheat #excelwithintegrity. Learn more about Contract Cheating by visiting contractcheating.weebly.com, www.contractcheating.com or contacting Rio Salado’s Academic Integrity team academic.integrity@riosalado.edu. Rio Salado wants you to succeed. We encourage you to take advantage of our Resources for Academic Success toolbox, Student Success videos, Tutoring services and Counseling teams. Labels: AdvisementNews, CPDNews, EarlyCollege, LifeAtRio, LiveAtRio, New Student Orientation, PTK, RioAdvisors, RioCommunity, RioEmployee, RioGrad, RioLearn, RioLocal, RioLounge, RioNews, RioStudents.